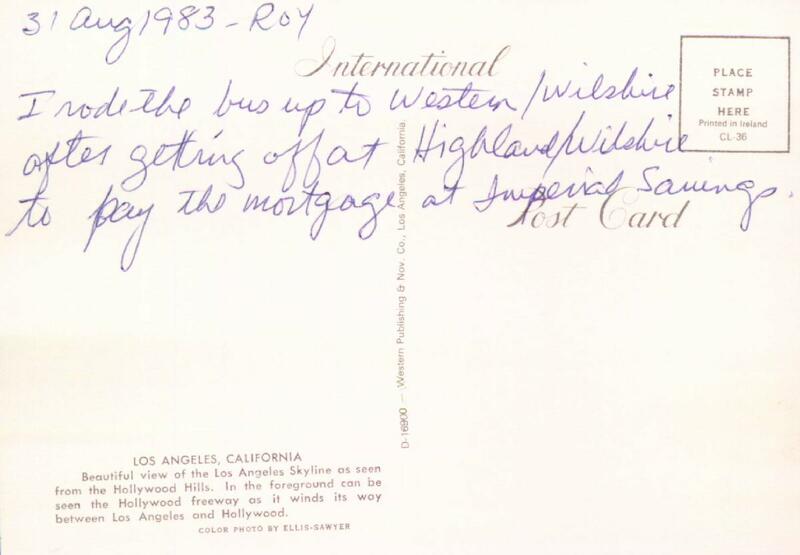 I rode the bus up to Western/Wilshire after getting off at Highland/Wilshire to pay the mortgage at Imperial Savings. LOS ANGELES, CALIFORNIA Beautiful view of the Los Angeles Skyline as seen from the Hollywood Hills. 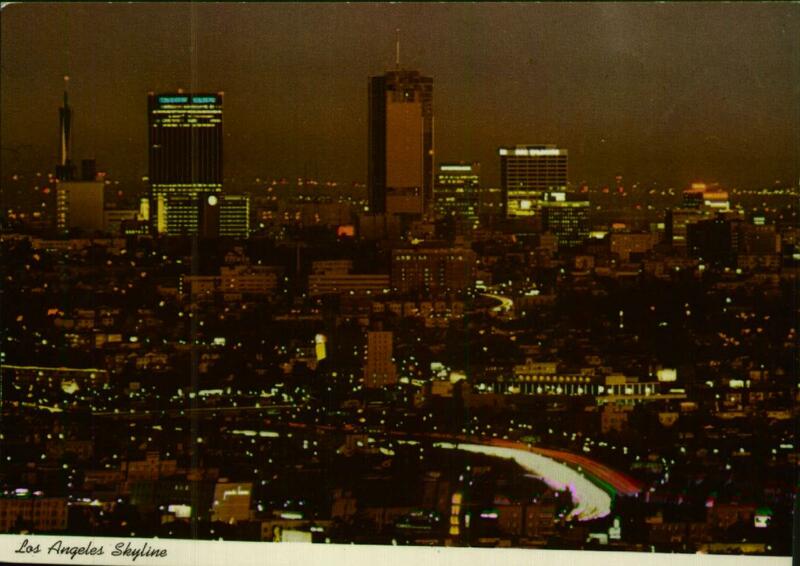 In the foreground can be seen the Hollywood freeway as it winds its way between Los Angeles and Hollywood. Taking the bus to the bank to pay your mortgage in person. It was a different world. This document (source) is part of Crummy, the webspace of Leonard Richardson (contact information). It was last modified on Thursday, November 26 2015, 04:03:03 Nowhere Standard Time and last built on Thursday, April 25 2019, 12:00:27 Nowhere Standard Time.